All geared up for the weddings that are lined up, but still nto satisfied with your same old traditional outfit? 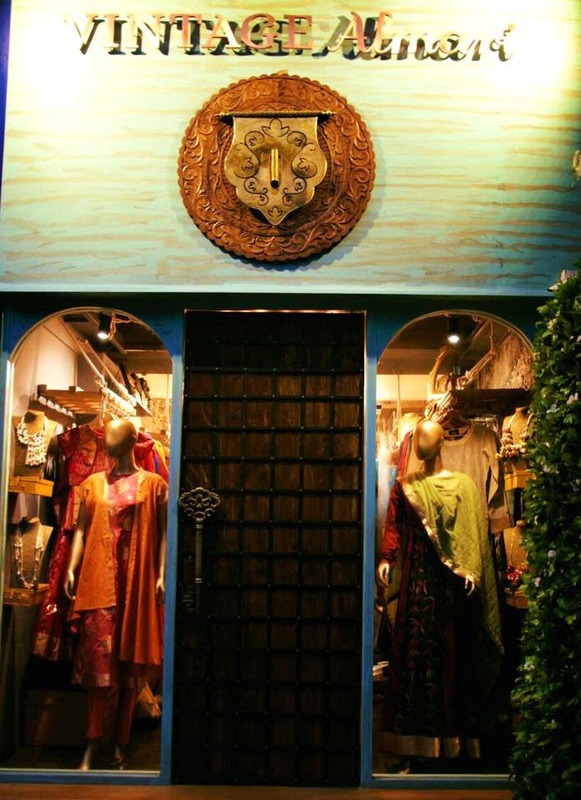 Vintage Almari on Napean Sea Road should definitely be on your go-to list for their beautiful semi-formal traditional clothes and fusion lines and trust us, you'll definitely be a head turner in the next wedding you make an appearance at! The shop flaunts two fantastic labels- Jajobaa by Jyoti Garodia and Fashion Train by Hetal Shah for accessories. You will find yourself lost in a wide collection of tunics, kalidar kurta drapes, and many other stylish outfits like dhotis and jumpsuits too. They're strength however lies in semi-formal traditional fusion clothing (the drapes are western, but the fabric Indian). Although their collection ranges from casual to semi-formal to Indo western fusion, all the clothes are made of Indian fabrics like Banarasi, Chanderi, Maheshwari Silk etc. The line is classic and elegant and can be worn by all age groups. They also have an impressive collection of statement jewelry which is made inhouse. The clothes start from INR 6,000 and can go up to INR 15,000 whereas jewelry starts from INR 3,000 and can go till INR 10,000. You should skip the same old boring outfits and must sport something new this wedding season. Go all classy with Vintage Almari's semi-formal collection!